Kings of Leon and Kasabian will headlining this year's V Festival, which takes place at Hylands Park, Chelmsford and Weston park, near Stafford on Saturday and Sunday 21st and 22nd August. Also appearing on the main stage are Stereophonics, Paul Weller, Editors, The Courteeners, Passion Pit, Faithless, The Kooks, Paolo Nutini, Madness, Skunk Anansie and Pixie Lott. David Guetta and The Prodigy will headline the 4 Music stage, with Florence and the Machine, Scouting For Girls, White Lies and Shed Seven among the support. Cheryl Cole and The Pet Shop Boys will headline the third stage with La Roux, Groove Armada, The Charlatans, Mika, Goldfrapp and The Sugababes also appearing. Tickets go on sale on 5th march. See here for more details. 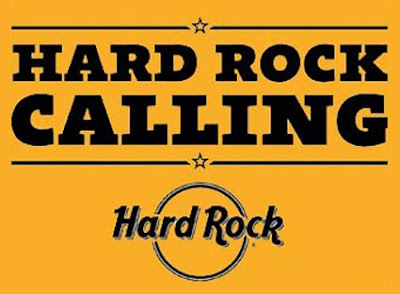 Sir Paul McCarteny has been announced as the Sunday night headliner at Hard Rock Calling in Hyde Park on 27th June. It will be one of four big dates he plays this summer. The others are the Isel of Wight Festival (Sunday 13th June), Hampden Park, Glasgow (Sunday 20th June) and the Millennium Stadium, Cardiff (Saturday 26th June). Also confirmed for the Friday (25th June) at Hard Rock Calling are Ben Harper, Wolfmother and The Gaslight Anthem, all supporting previously announced headliners Pearl Jam. Ticketsfor Pearl Jam are available now. McCarteny tickets go on sale on 8th March. More details here.